Prodis, one of the UK’s leading supplier of own branded products to the catering and hospitality trade, has changed ownership in a Management Buy-Out, led by Managing Director, Anthony Faulkner, with Sheffield based dealmakers, Castle Square Corporate Finance providing corporate finance advice to the management team, with Newcastle Under Lyme based law firm, Beswick’s, providing legal advice. 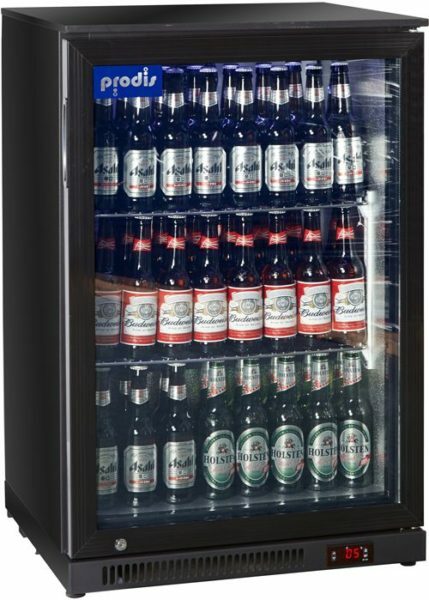 Prodis, based in Stoke on Trent, supplies its own brand of refrigeration equipment for bar, storage and display as well as ice makers, glasswashers, dishwashers, and catering equipment to bars, restaurants and hotels, acting as a distributor for brands such as Samsung, Icematic and Whirlpool. The company has experienced a period of significant growth in recent years, driven by the outgoing shareholders and the management team. The change of ownership will incentivise the management team to take the business to the next level. Founding shareholders Richard and Valarie Hammond continue to own a minority shareholding and will continue to support the company in the short to medium term. Director Kevan Shaw and Patrick Lynch from the Castle Square Team advised the management team on the deal valuation and ran a structured process which resulted in NatWest providing the necessary finance to complete the transaction. Patrick Lynch said, “In recent years the Prodis brand has received significantly increased recognition within the UK catering equipment sector, which is a testament to the hard work and commitment of Anthony and the Hammonds. The change of ownership will allow Anthony to continue driving the business forward on the back of this recent success and expand new opportunities to provide further growth to the business”. Peter Ellis of Stoke-based Beswick’s Legal also advised Anthony Faulkner on the transaction. Alan Dawson led the NatWest team who provided the acquisition finance alongside working capital facilities.